The Philadelphia Wings have seen plenty of both ends of the success spectrum1. From 1989 to 2001 (13 years), they made it to the finals nine times, winning six of them. In the 90’s, there was no doubt that they were the powerhouse team in the league. And then it all went south. In 2002, the Wings were eliminated from the playoffs by the Washington Power. After that, they only played in one playoff game in the next nine seasons. Now we’re heading into the 2014 season, and the Wings last playoff win was still the 2001 Championship. Blaine Manning played over 200 NLL games and scored almost 900 points over 12 seasons and the Wings never won a single playoff game during his entire career. What the hell happened? A fine question, to be sure, but not one I can answer here. 1 – Did you get the Philadelphia joke there? Spectrum! But things seem to be turning around for the Wings. They’ve made the playoffs two years in a row, though they lost to the eventual Champion Knighthawks both years. Kevin Crowley had almost identical seasons in his first two years in the league, scoring 71 and 72 points. Not John Grant numbers, but definitely respectable – and remember Shawn Evans didn’t have John Grant numbers either until last year. In fact, Evans had Kevin Crowley numbers for most of his career. Now they have another new head coach, with Johnny Mouradian stepping down in favour of Blane Harrison. Harrison will be the sixth Wings head coach since their last playoff win. I had a paragraph here that I wrote back in November, all about how the addition of Evan Kirk from Minnesota gives the Wings the same goaltender tandem as the Six Nations Chiefs of MSL, who also happen to be this year’s Mann Cup winners. I even said “they might be in their best shape goaltending-wise since a certain Mr. Eliuk was traded west“. And then the rosters were released, and Brandon Miller’s name wasn’t there. Without Miller, the Wings have Evan Kirk and rookie Don Alton. Kirk was exceptional in 2012, with a 9.81 GAA, but that ballooned to 14.47 last season, and he played less than half of the Swarm’s goaltending minutes over the last two years. Now rather than having a veteran with whom he’s familiar as a backup, he’s got Don Alton, with zero minutes of NLL experience and so Kirk will likely be expected to carry the vast majority of the goaltending burden. The Wings aren’t necessarily in deep trouble goaltending-wise, but unless they get a contract worked out with Miller pretty soon, they’re certainly not as strong as I originally thought. Big righty Drew Westervelt was traded to the Colorado Mammoth for Ryan Hotaling and draft picks. This seemed like an odd trade for the Wings to make, since Hotaling is a transition and face-off guy. No disrespect to him, but the Wings already had Jeff Reynolds, one of the best face-off men in the league, and did they really need another transition guy? Well, it turns out not to matter since neither Hotaling nor Reynolds made the team. And again, the announcement of the rosters screwed up stuff I’d already written. I had “With Paul Rabil, Brodie Merrill, Ned Crotty, Kyle Hartzell, Jordan Hall, and Joel White, the Wings have more trannies than a pride parade.” But of those players, only Merrill, Hall, and White made the team. And Hall isn’t considered transition this year. Thanks a lot for ruining my joke, Mr. Mouradian. One change I didn’t even notice when the rosters were released was that Kevin Buchanan wasn’t on it but Kyle Buchanan was. This means that the whole “Three Kevins” thing is done. In case you’re wondering, there were only two goals last season featuring all three Kevins, one on February 24 and the other March 1. Both goals were scored by Ross from Crowley and Buchanan, and both were on the power play. 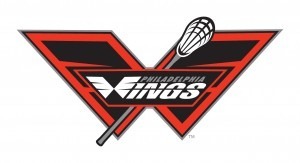 The Wings transition and defense got an overhaul this year – gone are the aforementioned Reynolds, Hartzell, Crotty, and Rabil, as well as Pat Heim, Steve Holmes, Ethan Farrell, and Mike McLellan. In are a bunch of rookies: Garrett Thul, Pat Saunders, John Ranagan, Brian Megill, and Mike Poppleton. Apparently these guys are American field players who are new to box lacrosse, so we’ll see if these guys do any better for the Wings than the last crop of American field players who were new to box lacrosse. With the Wings signing unrestricted free agent Ryan Ward, the loss of Westervelt is more than mitigated. Ward has averaged over 65 points per season for eight years, so his return to where his career began back in ’04 will be welcome to Wings fans. Another UFA, Tracey Kelusky, is likely near the end of his distinguished career and is coming off the three lowest-scoring (in terms of points per game) seasons of his career. But if he can rebound a little and remain healthy, he could chip in 30-40 points. So with Ward, Kelusky, (Kyle) Buchanan, Jordan Hall, and the two remaining Kevins, the Wings offense might be able to deal with the loss of Westervelt and climb from their league-worst offense in 2013. Nine of the players on the Wings’ 20-man roster were not on the team last year. Many of the players they are replacing are Americans who are taking the season off to get ready for the 2014 World (Field) Lacrosse Championships this summer. I have to wonder if guys like Crotty and Siebald and even Rabil will be welcomed back next season after bailing on their team (even for something as “noble” as playing for their country), or are they all done in the NLL? Can the Wings make up for the loss of half of their roster? Kevin Crowley. Despite the acquisition of Ryan Ward, Crowley is still the de facto offensive leader on the team. I can see his numbers going up as he sets out to prove that. Who are these new guys? This entry was posted in Philadelphia Wings, Preview. Bookmark the permalink.